This is the fourth and final post in the "Installing E-Business Suite" series, where we'll take a quick look at the GUI. As with the command line interface, going into deep detail would take more time and space than is practical, but I'll try to present some of the high points. I'll close with a final list of useful references for EBS administrators, and then return you to you regularly scheduled oraclenerd programming. Thanks again, Chet! After logging in to Oracle Applications (you remember that from the end of Part 2, right? ), you'll be presented with the Navigator. Depending on the responsibilities granted to your user, the length of the list in the left column of the Navigator will vary. When connected as SYSADMIN, you'll most often be interested in the "System Administrator" and "System Administration" responsibilities. 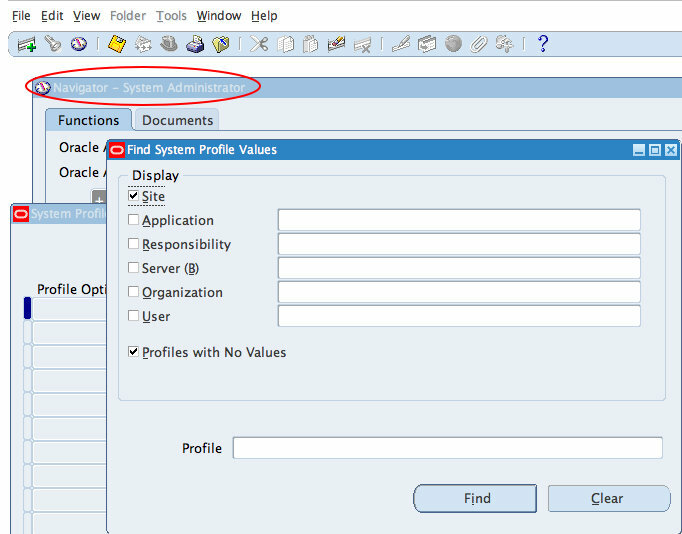 Clicking a responsibility will populate the center column of the Navigator with the functions assigned to that responsibility, and clicking one of those functions will take you to that function, either in the HTML interface or the Forms interface. As shown in the screenshot below, the small icons next to the links indicate whether a link will launch Oracle Forms or just take you to another HTML page. To the right of the two Navigator columns is the list of Favorites, which can be especially handy if you've been granted a lot of responsibilities and can't be bothered to remember which responsibility provides your most frequently-used functions. The SYSADMIN user offers access to a wide variety of responsibilities and functions, particularly in the Vision instance. As you might expect, SYSADMIN also has "superpowers:" some responsibilities offer expanded functionality only to the SYSADMIN user. If you're interested in seeing what a more common, but still fairly powerful, user looks like, you can log in as one of the following users: MFG, OPERATIONS, SERVICES, MRC, or HRMS. These users are seeded in the Vision instance with the password 'welcome'. Click appropriate link in the Navigator (or, as in this case, the Favorites list...yay, laziness!). A new browser window or tab will open, displaying a Forms servlet launcher. Depending on your browser's security settings, you may be asked a few questions about whether you want your EBS server to be allowed to communicate with your browser. I've found Safari to be particularly persnickety about this. 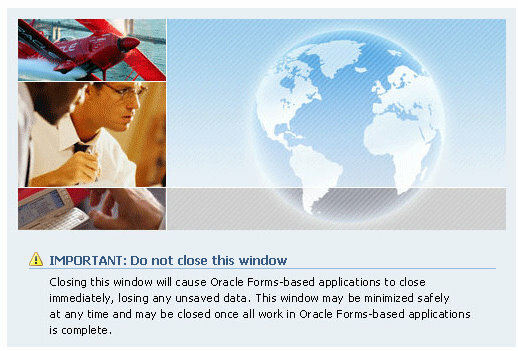 One of the browser windows (or tabs) that will open during the launch of Forms contains a "Do not close this window" warning. Hint: they're not kidding. Make sure it stays open for the duration of your Forms session. The Forms function you selected may be specific enough to require a series of sub-forms, in which case you'll see parent forms open underneath. As with the web interface, there's a Navigator form, with all of the functions available to the current responsibility. If you select the Navigator form, the little "top hat" icon will become active, and you can switch to a new responsibility. You can bask in the warm, comfortable nostalgia of desktop-app-like "File, Edit, Tools, etc" menu system. Oracle makes it easy to collect a lot of diagnostic information about the various EBS applications modules and tech stack components. A lot of the diagnostic test output can be packaged up and shipped to Oracle Support to support SR resolution. I've also been able to resolve issues on my own using Diagnostics that I might otherwise have had to open an SR to resolve, which makes the Diagnostics a clear timesaver. 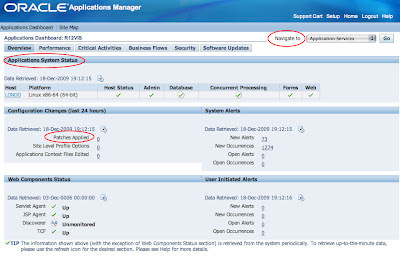 Access Diagnostics from either the "Application Diagnostics" responsibility or the "Diagnostics" link at the top of the Oracle Applications home page. Using the responsibility is a bit more straightforward. I'm sure I'll lose a lot of "street cred," assuming I've ever had any, for extolling the virtues of a GUI-and-dashboard-based administration interface, but Oracle Applications Manager is pretty nifty. Come to think of it, maybe I'll lose cred just for using a word like "nifty." Oh well. OAM is available to users granted the System Administrator or System Administration responsibility. Access individual OAM functions from those responsibilities, or start at the Dashboard to begin exploring its functionality. I should note that OAM and the Diagnostics utilities discussed above are part of the base Oracle Applications system, included as part of standard EBS licensing. 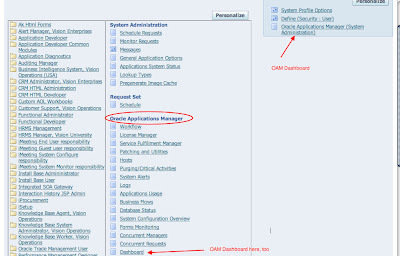 OAM should not be confused with the Oracle Applications Management Pack for Grid Control, which is a separately-licensed product. First and foremost, if you aren't following Steven Chan's blog, you are doing yourself a huge disservice. Steven and his blogging team are are all heavily involved in the Applications Technology and Applications Technology Integration groups at Oracle. 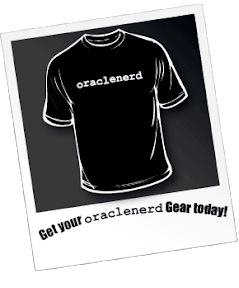 They will keep you up to date on the evolution of the Oracle Applications tech stack "as it happens," with certification announcements, discussions of advanced features and configurations, and pointers to interesting EBS whitepapers. If you've ever tried to navigate the labyrinth of Oracle's certification matrix, you'll recognize that Steven's list of certifications for the EBS tech stack components alone is worth a visit to his blog. 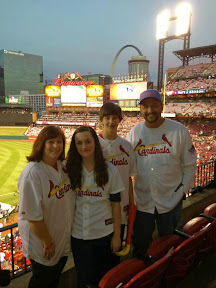 Steven also maintains a list of Apps-related blogs, both within Oracle and in the broader community. The OTN EBS forums are an invaluable resource for getting answers to your EBS questions. Most of the time, it seems like Oracle Ace Hussein Sawwan is holding the entire show together with his encyclopedic knowledge and crazy My Oracle Support skills. There are a lot of very helpful regulars there to pick up the slack when Hussein steps out for dinner, too (I'm not convinced that he sleeps). The EBS on Linux, EBS R12 Install/Upgrade, and EBS Technology General Discussion forums are a good place to start. 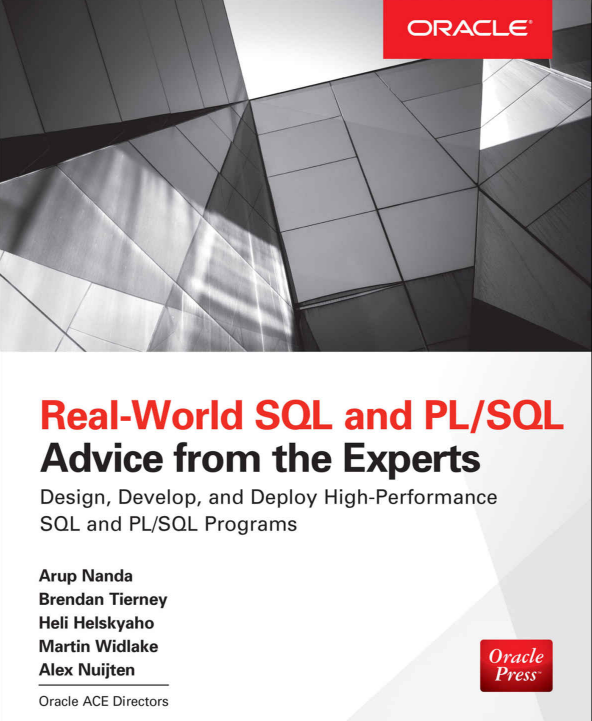 Atul Kumar's Online Apps DBA blog covers a wide variety of topics related to the technical side of Oracle Applications, including the integration of a wide variety of Oracle products with EBS, and more "real-world" deployment scenarios than this installation guide provides. It seems like there isn't an Oracle product this dude hasn't installed; it's pretty impressive. Eddie Awad's famous OraNA service has an "Applications and Apps Technology" subcategory, and you'll see some interesting tidbits come through there. Ben Prusinski, Oracle Ace and RAC expert, has recently ventured into the realm of Apps DBA work, and many of his recent blog posts have covered R12-related topics. I use VirtualBox, not VMWare, so you'll have to do what's right that particular tool. I explain it in VBox terms, maybe that will help. I set up each Guest environment with a Bridged Adapter network interface (I think that's what it's called). With that, it gets an IP address via DHCP on my home network. Let's say my host is 192.168.1.100. My Guest (EBS) environment is then assigned 192.168.1.101. To access the web interface for EBS, you would (simply?) reference the IP address in your URL.